Check Stub Maker is a major savior all around the year and is mainly found helpful during tax season. 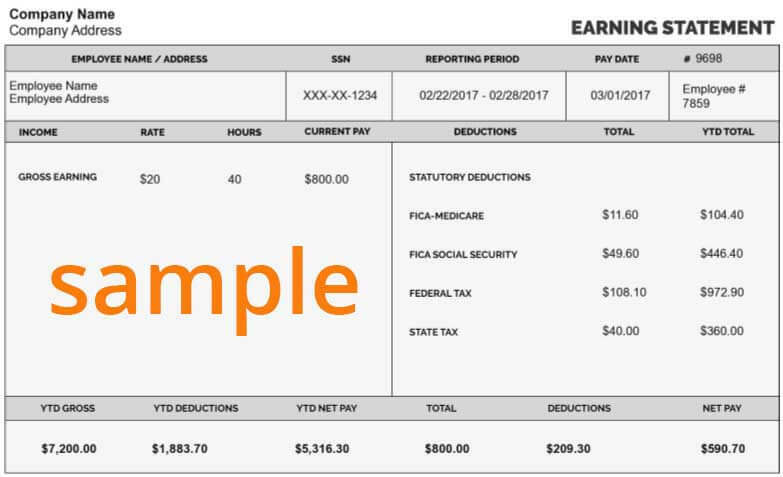 As anyone can rely on pay stub generator for last minute check stubs online, it is a boon for self-help small business owners, freelancers or anyone who is using paystub maker. Being an early bird will not promise any refunds but one thing you can be sure of is that you will be free from the worries that you still have to pending to pay taxes. There is nothing like ‘tax season’ if you think of it from a different viewpoint. You can file the federal tax returns as soon as the relevant documents are ready with you. Usually, January 31st 2019 is considered to be the ideal deadline for employers to dispatch W2 Forms for earnings of 2018 and 1099 MISC Forms must also be sent within the specified date. For instance, if you receive your documents within the specified duration, it is nowhere mentioned that IRS will process your file earlier. It is important to know that the IRS officially begins accepting tax returns for the year 2018 from January 28, 2019. This is a date later than last year when accepting returns began from January 23rd. The delay this year is because IRS has had to scramble to adjust to new provisions of the Tax Cuts and Jobs Act effective from January 2018. IRS will begin accepting the returns filed electronically from January 28thand the processing of paper returns mailed with payments will be initiated on the same day. Those filings which don’t include payments will be processed after 2019 Government shutdown ends. 15th April 2019 is reportedly the last date to file personal tax returns for the year 2018 except Maine or Massachusetts who have 17th April as a deadline as 15th April is Patriot Day there. However, if you miss the deadline, you can request an extension of 6 months from IRS if you are not prepared yet or have some issues to file tax returns within the specified time limit. Your next return call will be pushed to Oct 15th, 2019. You have to be prepared to pay late fees or penalties laid by the IRS for filing returns late. IRS usually initiates refunds in less than 21 days but it may take up to six weeks after you mail in a paper return. How Check Stub Generator does help? Check Stub Generator is very helpful if you want to create paycheck stubs at the last minute. Relying on check stubs online is the best thing you can do instead of outsourcing paychecks or hiring accountants on an urgent basis as they will definitely charge more. Create a Pay Stub Now with an exciting one-time offer!